The emails have been flying, the phone a-ringing, and the buzz, well, a-buzzing. 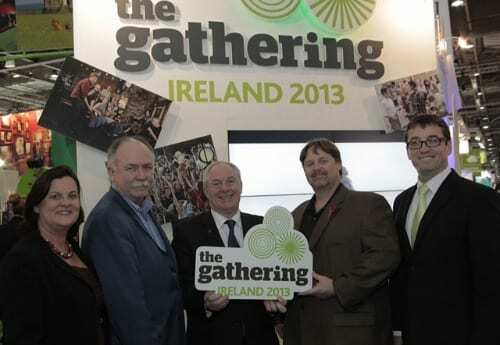 Now we can finally share it all with you – TBEX Europe 2013 will be in Dublin, Ireland. Dublin is a historical and cultural center of Ireland. From the Book of Kells to Guinness, from the Spire of Dublin to Trinity College, from the Christchurch Cathedral to National Museum of Ireland, Dublin has something to offer every travel blogging niche and every travel blogger budget. Rest assured – we’ll be scouting out everything the city has to offer in terms of food, drink, sightseeing, accommodations, and more. Dublin, the region, and the country of Ireland are excited to be welcoming YOU to TBEX Europe. And we’re very happy and excited to take them up on that renowned hospitality. TBEX Dublin will be held in October 2013. The exact dates and venue will be confirmed later in the week, but we couldn’t wait one more day to share this news with you. If you’re as excited as we are, and are interested in attending or being a sponsor for TBEX Dublin, just let us know and we’ll make sure you get the information as soon as it becomes available. Ooh, excellent! I’ve just got into the world of travel blogging and I’m shattered to have missed the Spanish weekend in September – this is right around the corner from me! Can’t wait to hear more details! I’m looking forward to this however the sign up form isn’t open to register… Great to learn that it will be in Dublin though! We realize MJ got the year wrong in the title (. But its early AM in the US and I can’t log in to correct it here in the UK for some reason. This will get updated as soon as the folks in the states are up and running . Sorry for that. Great location! Fab and exciting city! Nice choice. Sorry! It’s all fixed now. Wow, congrats – great choice! I, too, am kicking myself for not making it to TBEX Spain…I would LOVE another excuse to head to Ireland. Can’t wait to pencil in dates. I am sure it will be a great time…the Irish really know how to party! Dublin yeah! Years since I’ve been and a revisit overdue! Better start saving now – there’s a small matter of travelling from the other side of the Equator…. This is incredibly exciting! I am going to try to find sponsorship so that I can attend! Great choice! Can’t wait to pick up a ticket! We’re all looking forward to meeting the Travel Bloggers from around the world and you can be assured of a very warm welcome from all of us, here in Ireland. Thank you so much for your kind words. We’re all looking forward to taking you up on that warm hospitality. This is amazing!!! Where is it going to be held in the city? We’ll be announcing the specific venue and dates in another week or so. Stay tuned! one of the cities in europe that i wish to visit..i hope i can come to this gathering…will try my very best!! Cead Mile Failte – One Hundred Thousand Welcomes in Gaelic, thank you for choosing my home town as your venue – I look foward to attending the conference, Welcome to those you will be visiting for the 1st time, welcome back to our return visitors – eat drink & have the Craic!! We’re looking forward to being there! Wonderful choice! Looking forward to attending my first TBEX in a country I love to visit. We’re using TBEX Europe as the stepping-stone for our first bout of extended traveling. We went to TBEX ’12 in Keystone, and if it’s anything like that I know it’ll be a totally amazing conference (it’s almost not even far to call it a conference, since that conjures images of dull speakers and drab surroundings, which Keystone had none of…) and a very fit way to start our travels. Thanks for the note, & congrats on your first long-term trip! Isn’t it fun to realize how many others like you are out there? It would be great to see you at TBEX – I suspect you’ll find “your people” are there in abundance. 🙂 Let me know if you have any questions! Really delighted that TBEX is going to be in Ireland. I can only usually schedule in one Blogger event a year and this is definitely going to be top of my list! So glad to hear that! We look forward to seeing you there. This is fantastic news. A travel bloggers conference in my country. I was planning on flying to London to attend similar events but having it in Dublin is an extra bonus. Will be there! What are the dates for Dublin? Just wondering as the Blog Awards Ireland event is on on 12th – just wondering if they might clash or if people will be able to fit in both if they are the same weekend?